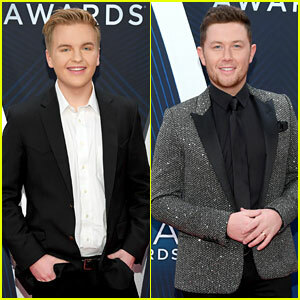 Lauren Alaina & Fiance Alex Hopkins Make a Perfect Couple at CMA Awards 2018! | 2018 CMA Awards, Alex Hopkins, CMA Awards, Lauren Alaina | Just Jared Jr.
Lauren Alaina absolutely stuns on the red carpet as she arrives at the 2018 CMA Awards at the Bridgestone Arena on Wednesday (November 14) in Nashville, Tenn. The 24-year-old American Idol alum went glam in a princess-inspired, sparkling gown as she was supported at the big event by fiance Alex Hopkins. Lauren is nominated for New Artist of the Year tonight. You can check out the full list of nominees here – Make sure you tune into the CMA Awards live on ABC right now! FYI: Lauren is wearing a Randi Rahm gown. 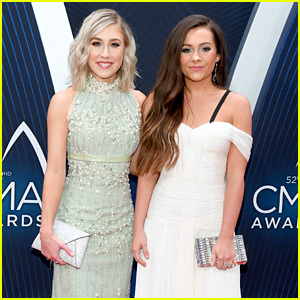 Kelsea Ballerini Performs 'Miss Me More' at CMA Awards 2018 - Watch!